Malaysian horror films have continued to draw criticism following national laureate Ahmad Kamal Abdullah’s (also known as Kemala) denunciation of films considered both outdated and irrelevant in the context of the modern world. Kemala’s claim somewhat echoes that of former Prime Minister of Malaysia Dr. Mahathir Mohamad who, in October 2011, expressed the view that the proliferation of local horror was ‘counter-productive’ to building a progressive and developed society. Mahathir’s claim spawned a flurry of reaction by our industrial practitioners, filmmakers, academics, critics and clerics: some concurred with his view while others refuted it. His assertion reinforced his apprehension that horror movies threatened to instil ‘backward’ modes of thinking and behaviour in Malaysian audiences who were already seemingly entrenched in belief in superstition and the supernatural. Mahathir’s condemnation could explain why filmmakers were discouraged from making horror films during the period of his leadership, and why the genre was totally banned throughout the 1990s. Although I personally disagree with Mahathir’s view, I would like to address the significance of his statement for several reasons. His view of horror cinema has contributed to the ways in which popular cultural forms such as genre films may serve as a means for cultural dialogue in Malaysia. This is true if we regard genre films as a modern form of myths, i.e., as endorsing and promoting the dominant values of society. Therefore, in this capacity, genre films provide a platform for cultural dialogue, engaging their audiences in a shared discourse that simultaneously reaffirms, challenges and tests cultural values and identity. In essence, Mahathir’s major concern was related to his modernist project ‘Vision 2020,’ a project which aimed to see Malaysia achieve fully developed country status by the year 2020. In this respect, cinema – through genre films such as horror – had the potential to appear ‘subversive,’ by extension undermining the centre’s modernist attempts towards nation-building. What was at stake in Mahathir’s claim can be discerned by looking at notions of ‘time.’ As generally noted by film and cultural scholars, horror cinema often discloses a somewhat fractured, heterogeneous concept of time. Take, for example, horror cinema’s oft-depicted coexistence of ghosts and spirits vis-a-vis the modern present, a tendency that disrupts the modern, homogeneous, measurable time represented by clocks and calendars. Logically speaking, ghosts and spirits such as Pontianak, Langsuir and Hantu Raya do not occupy a ‘place in time’ in the annals of history or modernity. Cinema – through its visual presentation – enables and materialises this form of anachronism in a more concrete manner. The popularity of Malaysian horror films may reflect the modern-day viewer’s deeply-rooted beliefs which generally signify backwardness and primitiveness; but, such beliefs often oscillate between rational scepticism and credulity regarding the supernatural. 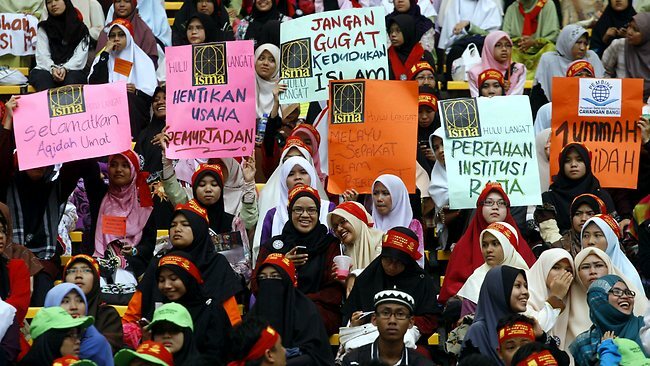 In Malaysia, contradictory notions of modernity (including resurgent Islam) have contributed to this paradox, for while Malaysia’s Islamisation process has sought to repress superstitious beliefs and practices considered un-Islamic, to date it has failed to totally erase these timeworn observances. Hantus and spirits, along with our belief in their existence, may serve as a threat to the apparent coherence of what is ‘now’ understood as the present. Therefore, Mahathir’s claim may be seen as implying a tension between the general ‘secular’ time of history and the ‘spiritual’ time of the dewa (gods) and ghosts. 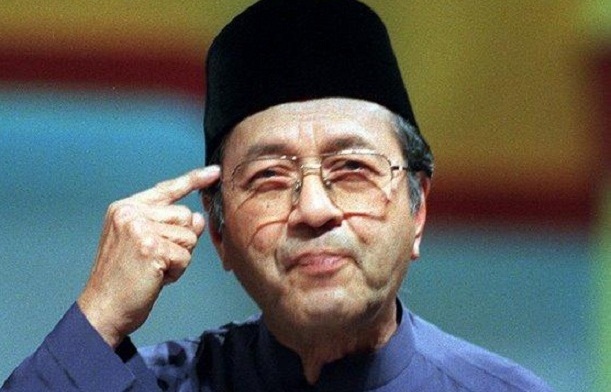 This is perhaps particularly relevant in relation to Malaysia’s adoption of – and adaptation to – the construction of historicised time; in other words, the adoption of a universal, rational mode of time-keeping, organised and interpreted via historical and rational time, that will ensure Malaysia’s recognition as a ‘modern’ nation state (as proposed by Mahathir). When Mahathir came to power in the early 1980s, he initiated a standard Malaysian time for the Peninsular Malaysia and East Malaysia (Malaysian Borneo comprising Sabah and Sarawak). In effect, the previous ‘heterogeneous worlds of times’ were now confined to one time and to one space, that is, to the homogeneous and unified nation-state of present day Malaysia. Any attempts to ‘de-modernise’ society, such as resorting to the ancient, archaic practices and beliefs often invoked by our horror films, were seen as a threat to nation building. In this respect, horror cinema can be generally seen as espousing a critique of modernity. Questions of time as a critique of modernity have been raised and debated by a number of philosophers and theorists. Some of the former have utilised the emergence of cinema as a modern art form to critique notions of time as a way of critiquing modernity. Cinema is representative of modernity in the sense that the birth of the medium paralleled those of the mechanical clock, wireless telegraph and railroad. Its tendency to homogenise and standardise time has technically enabled cinema to be used as a tool for reflecting and critiquing modernity. For example, the connection between film and railway travel has been commented upon by many historians. The history of industrial capitalism in the last third trisect of the 18th century witnessed the invention of the locomotive engine, leading some to regard the early 19th century perception of the speed of railroad travel as ‘the annihilation of space and time.’ Here, the speed of the locomotive made travel time so much shorter that it felt as if space itself had been diminished, a phenomenological experience equivalent to cinema. 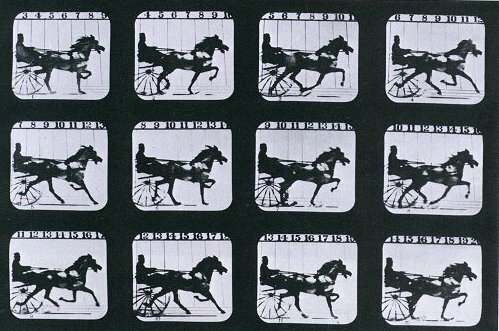 Widely considered a time-based medium, cinema (celluloid film) has often been compared to a clock: operated in a particular way it produces ‘movement’ that is oft-regarded as ‘illusion.’ Sixteen or 24 still frames are projected per second at a speed capable of manipulating the viewer’s eye and mind into seeing ‘moving’ pictures. Projecting still frames at regular clock-time intervals renders the accumulation of static images on celluloid illusory, seemingly ‘moving’ once projected. Thus, cinematic forms such as fantastic and horror genres hold in tension heterogeneous notions of time (or ‘mythic time’) and industrialised, modern time, as expressed in Mahathir’s concern. This tension is often played out via, for example, parallel editing, which presumes a single chronological present in which simultaneous events are staged. But, in a horror film, when there is a cross-cut between the natural (human being) and the supernatural (ghost), the times evoked transcend rational, chronological time. French philosopher Henri Bergson, offering an intriguing critique, claims that clock-time presents a false image of time. So, he suggests, does cinema, as it complies with this type of time. Bergson postulates a ‘corrective’ theory of time, one that disrupts our habit of thinking of time in spatial, numerical terms. The scientific and mathematical view of homogeneous time that Bergson disputes is the legacy of Isaac Newton’s clockwork universe that declared time to be absolute, uniform and mechanical. Our cinema viewing experience, too, is predicated upon time (as in standard cinema) derived from movement, as are our everyday perceptions, which are in line with a particular form of Western thought that has tended to think of a fixed and actual world functioning within time and movement. In this respect, Bergson argues, there is no ‘real time’ or ‘pure time’ in cinema because ‘time’ is broken down or fractured. What cinema renders to we viewers is a form of clock-like ‘spatialised’ time – a form of time imbued with characteristics of space. It is important to note that post World War II, the world’s filmmakers began to experiment with notions of ‘cinematic time,’ further challenging cinema’s ‘spatialised time’ as evident in European cinema. Contemporary Malaysian cinema has only recently seen films of this type, for example James Lee’s The Beautiful Washing Machine (2005), and, more apparently, in the recently released much-talked-about Bunohan (Return to Murder, 2012, Dain Said) to which I will direct my focus now. Due to lack of space I cannot provide a critical review or analysis of the film. Rather, in an effort to highlight the importance of cinematic time in order to better appreciate cinema, I want to respond to two media studies lecturers from the University of Malaya (UM), Abu Hassan Abdullah and Ana Balqis, who, in my opinion, made unsound commentaries on Bunohan. Their failure to grasp the different dimensionalities of cinematic time has led both to dismiss the film as ‘puzzling, confusing and torturous’ to viewers. The story of Bunohan revolves around three brothers; Ilham, a hired killer, Adil, a kickboxer, and Bakar, a schoolteacher, and their ailing father, Pok Eng, a shadow play puppeteer. The three siblings, who had earlier parted ways, return home only to be caught in a tangled web of greed, vengeance and violence upon discovering certain family secrets and mysteries. If there is one word that can precisely describe what the film is all about, it should be ‘time’ – a recurrent notion that is invoked aesthetically, thematically and metaphorically, systematically shaping the film’s overall form. Aesthetically, Bunohan is a solid, extreme example of a film that ruptures cinema’s ‘spatialised time,’ an image of time carved out of director Dain’s utilisation of genre and cultural elements through the intricate interweaving of some ancient arts forms and mystical folklore that conjure up notions of heterogeneous time. I would argue that the film’s straining of empty homogeneous time echoes its critique of Malaysia’s modernity, that is, its loosening of its ‘ties that bind,’ evoking a serious, deep rumination on the loss of the traditional. Both Abu Hassan and Ana fail to discern the ‘out of joint’ cinematic time that breaks the viewers’ sensory-motor schema. Many scenes in the film straddle both actual and virtual images, commingling the natural and supernatural (or intervention by a past-(or future? )-image), and, in the process, disrupting the point of view of the present; for example, the were-crocodile dead mother (Mek Yah); the talking bird; and, the mysterious little boy who, at times, speaks in Pok Eng’s voice. In this sense, the cinematic images are no longer subordinated to a time derived from movement or action. What viewers are presented with is an image of time itself, i.e., ‘real’ or ‘pure’ time, a form of time that seems hardly commensurate with human perceptions and consciousness. This may explain – as noted by some reviewers and audiences – the sense of disconnectedness and incoherence experienced when viewing this film as a whole, an experience hypnotised by a dreamy, trance-like power. This feeling stems from experiencing a form of time that inflicts change upon characters, not a form of time that features characters acting to cause change. Somewhat interestingly, this is verbally hinted at in the scene wherein the character Adil says, “I know all about time. Whether I live or die it’s decided in 3 minutes … Nobody can force 23 years into 3 minutes” while seemingly refusing his father’s offer to talk to him given that his father has neglected him since he was small. This approach to cinematic time also enables director Dain to posit the idea that the perceived actual world is a contraction of the virtual, signified by the small TV screen through which we see some of the film’s characters/actors (in the beginning) and by the shadow play screen (at the end). Ana further commented upon the film’s inaccurate depiction of the socio-cultural reality of Kelantan, which seemed in contrast with her own experience and worldview (as a Kelantanese). As a media studies expert, she should be well-informed that ‘socio-cultural reality’ in cinema (particularly a feature, fictional film) can be complex, selective (depending upon the director’s worldview and strategy) and relative. Therefore, director Dain’s articulation of more complex Kelantanese/Malay subjectivities is justifiable, considering that Malayness or Kelantanese-ness as culture or identity is hardly one-dimensional, stagnant and essentialist (as often stereotyped, promoted and desired by our politicians and media); it has always been constructed and negotiated. Ana further lamented that the film conveyed no ‘positive’ religious message, e.g., no foregrounding of Islam in its denouement. For this earnest academic, it seems, a good film must preach a sermon. Herein lies the essence of the perception and transcendental awareness that a film like Bunohan seems to offer its audiences. Director Dain’s seemingly impenetrable world constitutes a milieu which can no longer be judged in terms of the good or evil it holds for the finite self: a schoolteacher (like Bakar) may no longer be considered noble while a hitman (like Ilham) may not be as vicious as one might have thought. This type of film (with such cinematic time) normally explores, to a great extent, characters’ subjective depictions of themselves as caught up in circumstances not only beyond their control, but also devoid of hope. For example, the character Ilham, who, in an attempt to act in the name of the good, discovers that the good is not what he thinks it is, and, as a result of this revelation, loses his ability to act. Further responding to Ms Ana Balqis, let me contextualise a little to better grasp the narrative’s gist. The absence of Islam (as claimed by Ana) can be seen as part of the film’s critique of modernity, i.e., a dialectical form of modernity, with Islam (resurgent Islam or Islamisation) a new, ‘modern’ phenomenon. In the film, this critique manifests itself through a reversion to more archaic and atavistic forms (e.g., magic, mystical spirituality and traditional healing), many of which are considered by some today as ‘un-Islamic.’ For example, when the ‘supernatural’ Mek Yah appears towards the end telling Pok Eng (reincarnated as a little boy) of her intention to help ‘heal’ this ‘destructive’ land: “… Healing needs time. And time needs healing…”, her lines insinuate that there is a need to revert to the ‘ancient matriarchal’ heterogeneous time, given that the notion of modern homogeneous time is in line with the destructive power of the masculine. I would further read this form of reversion as functioning to bring into balance the perceived contradictory, ideological systems Malaysia is confronting today (Islamisation and Westernisation). To further reflect on this, one may observe that Malaysia’s version of Islam (Islamisation) – which coexists comfortably with Mahathirist capitalist-driven modernity – has hardly succeeded in curbing the iniquitous propagators of greed and corruption currently infiltrating certain segments of our so-called God-fearing society (represented by Bakar, the Dockers-clad yuppie who attempts to con his father into acquiring ownership of their ancestral land so that he can sell it to property developers for a huge sum of money). On a simpler note, there is no need for every single Malaysian film to offer a Manichean moral representation or resolution in the form of the restoration of the social order. Because the cinema is unlike some self-help books or TV shows such as Semanis Kurma, a filmmaker may opt to reach and enlighten viewers by revealing what the medium – by virtue of its uniqueness and specificity – is capable of doing. However, since cinema is implicated in the modern elitist form of time, it seems difficult for Malaysian films to play out notions of anachronism, notions that may be perceived as the antithesis of any forms of modernity (nation-building, Islamisation or ‘progressive’ thinking). 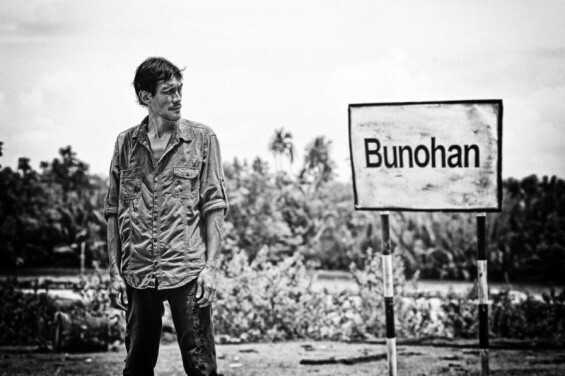 While Mahathir’s claim was, in effect, a critique of ‘anti-modern’ forms of time envisioned by Malaysian horror cinema, Bunohan utilises cinematic forms and genres to disrupt rationalised, homogeneous time to convey its strident critique of modernity. To this end, both Mahathir Mohamad and Dain Said must have realised the extent to which cinema is imbued with power. Norman is currently researching and writing about Malaysian cinema. In his spare time, he enjoys viewing silent movies and listening to Indian ghazals.